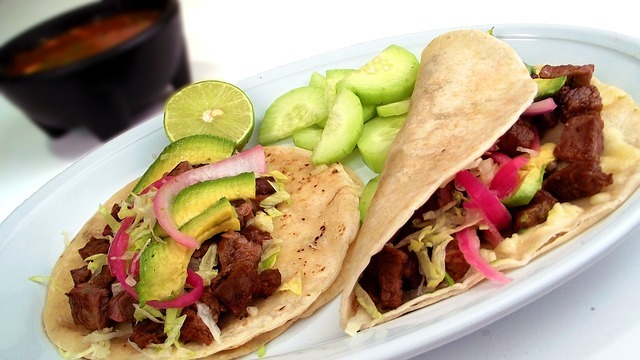 Traditional Mexican food is rich with a variety of vegetables and lean proteins, all boasting big flavors! In many ways, it was the Americanization of Mexican food that has made it less healthy. Switching to lean ground poultry, adding beans to ground meat dishes, using less sour cream, or switching to low fat cheese can all add up to make any dish healthier. Let’s look beyond the tacos and burritos and into the kitchens across the country where it can be easy to find delicious, healthy versions of Mexican favorites…in fact, I bet you won’t have to look too far. 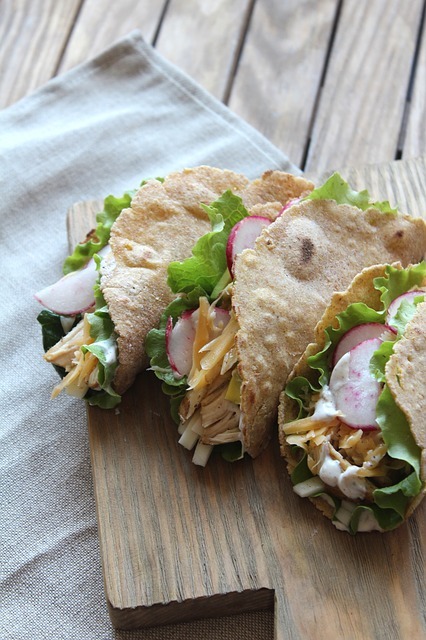 A simple swap, choose the corn tortilla next time you order a taco. This staple food is a whole grain, which packs more fiber and nutrients than its flour counterpart. At least half our daily grains should be whole grains. This is a tasty way to meet that goal! 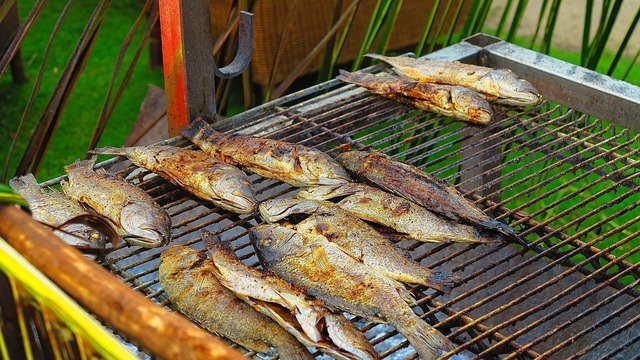 Get your protein grilled, not fried. Grilled steak packs a protein punch with little to no added fat, since it’s cooked on a grill and not sautéed in oil or butter. Credit: Carne Asada. Pixabay. 9/14/13. Corn what? This corn fungus, which is very similar to mushroom in flavor, is considered black gold in some areas of Mexico. When rain droplets fall into the corn husk, the kernels of corn begin to rot and develop a fungus that turns the golden kernels into grey, stone-like blobs. The fungus adds proteins that aren’t found naturally in regular corn kernels. 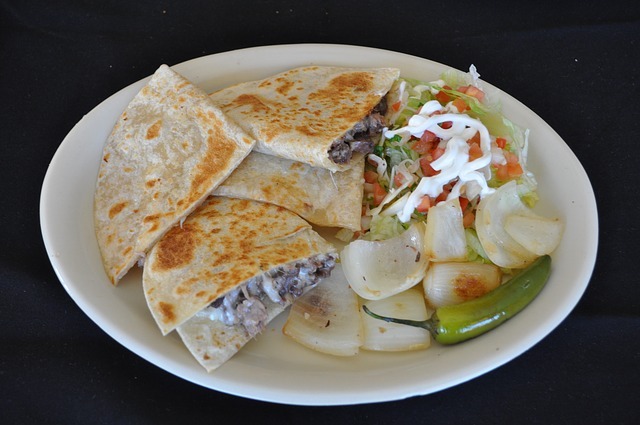 This makes it a great choice in tacos or quesadillas for vegans or vegetarians. Seemingly so simple but let’s not forget this healthy version of a sweet treat, after all, fruit is twice as sweet in Mexico! Fruit is always a good choice because it is packed with antioxidants, fiber, vitamins, and minerals. This tasty staple, is simple to make and has all the elements of a comfort food; warm and flavorful. 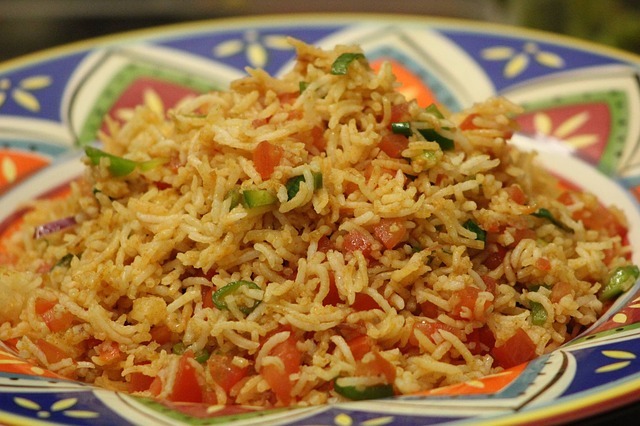 You can make a healthier version by swapping in brown rice for white rice. This hearty soup is a steaming bowl of comfort (and nutrients!) on a gray day. 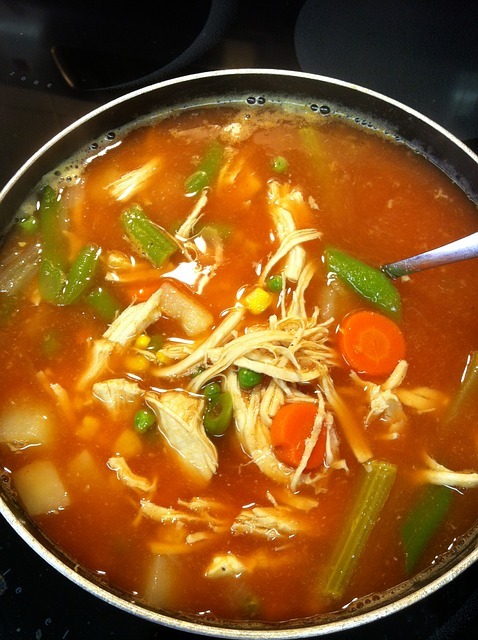 This soup consists of broth with potatoes, tomatoes, green beans, zucchini, corn, and other vegetables that suit your taste. 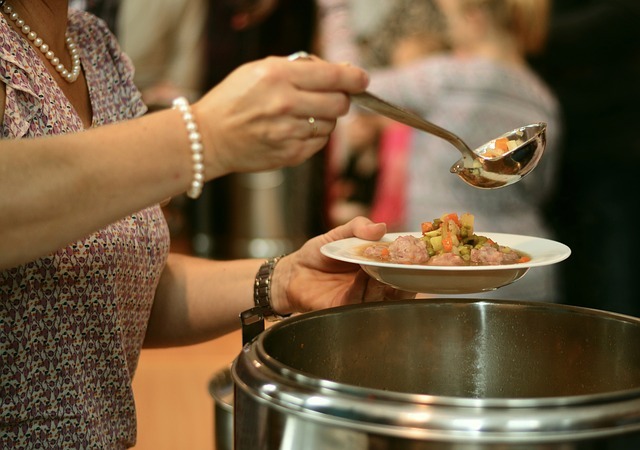 Preparing your soup with beef or pork? 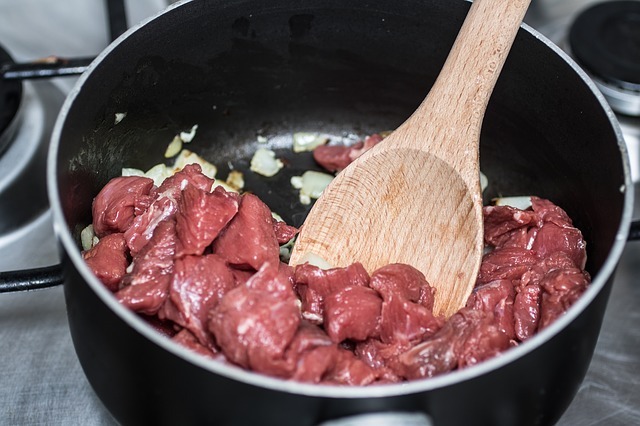 Trim the visible fat off the meat to reduce the amount of saturated fat in the recipe. Credit: Chicken stew. Pixabay. 05/16/2016. So much soup! Another bowl of steaming comfort, the chicken is baked, grilled, roasted, or poached making it a lean, low fat choice with a ton of protein! Instead of topping your soup with crumbled fried tortillas try baking your tortillas in the oven until crisp and then crumbling them. Credit: Chicken soup. Pixabay. 11/27/2013. Another healthy Mexican dish, a whole grilled fish is a great source of omega-3 fatty acids, the kind you get in fish oil supplements ,which are so good for your heart! Grilling the fish means little to no added fat. 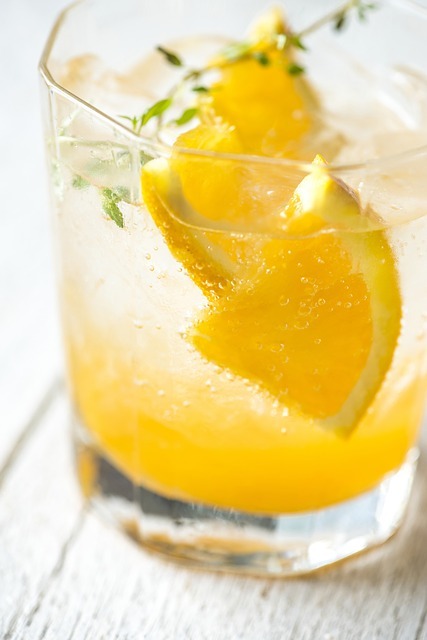 Using fresh herbs, such as cilantro, and citrus juice, such as lime, make the fish flavorful without any added salt! 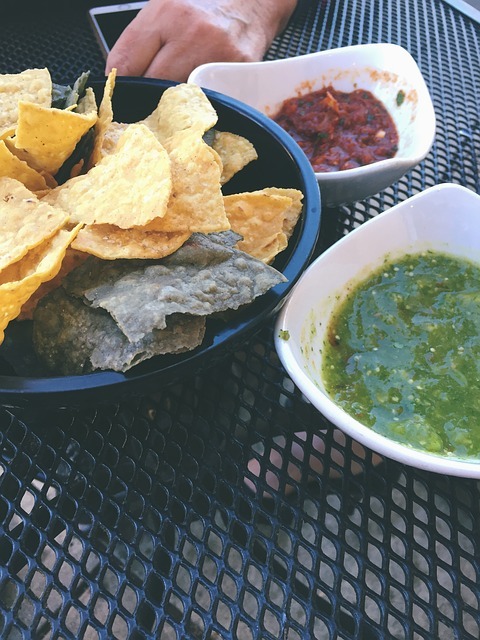 This fresh salsa is a great way to add a healthy boost to any dish. 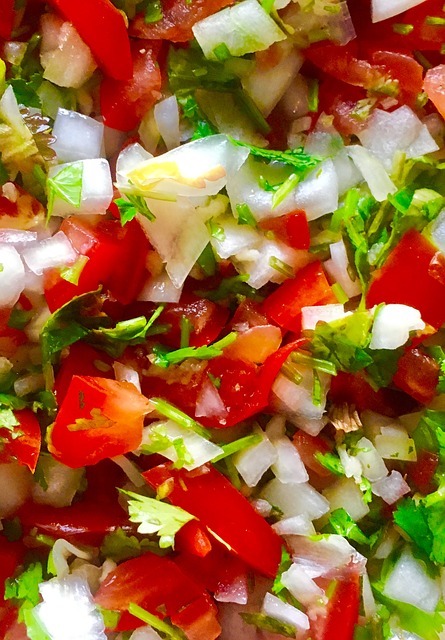 Fresh tomatoes, cilantro, lime, and onions provide flavor, fiber, and antioxidants. It’s a juicy flavor boost in each bite! Credit: Pico de gallo. Pixabay. 04/30/2017. This vibrant green salsa is rich in vitamin C and vitamin K. It packs a flavorful punch on any fish or taco. A tomatillo broth with rich meatiness is another healthy Mexican dish, that will have you asking for seconds. 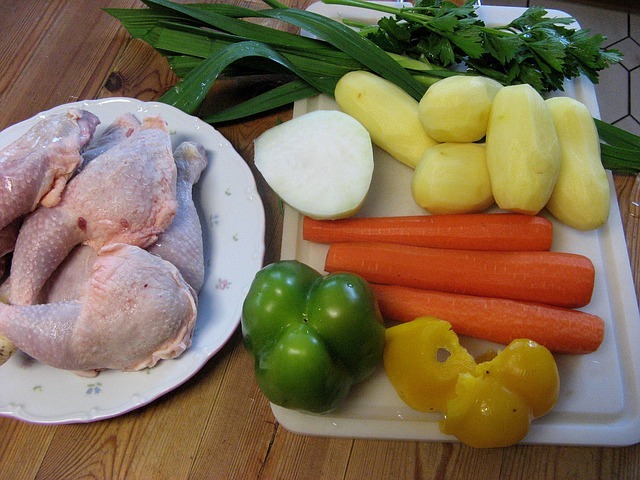 When using goat (or pork) trim the visible fat and use a low sodium broth to make your soup. Another alternative taco filling, pork or beef is roasted in chilies, garlic, onion, vinegar, and plenty of herbs and spices. Though packed with flavor, making it at home means it is not packed with sodium. 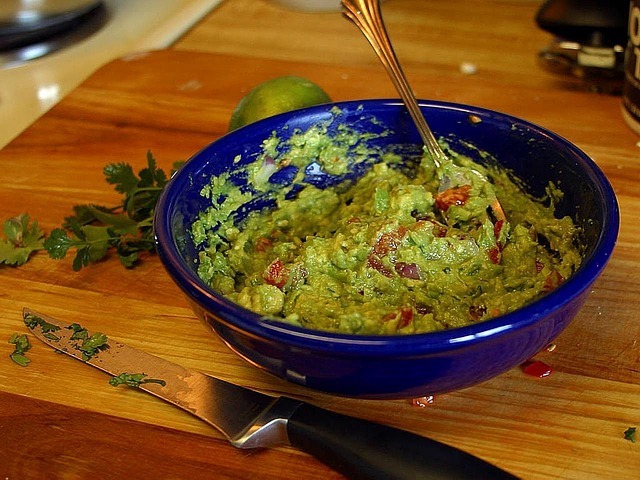 What’s a list without guacamole? This creamy fruit (yes, a fruit!) 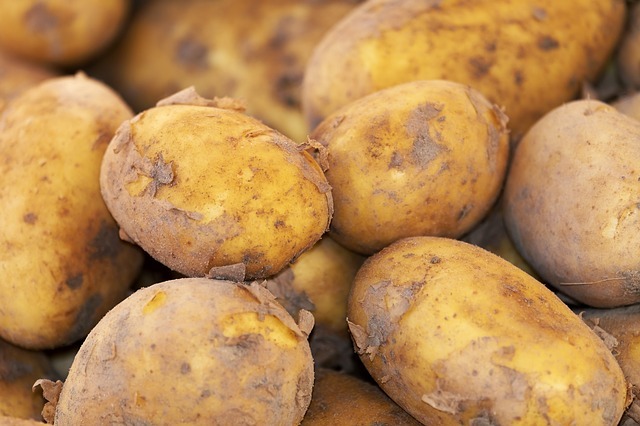 is a great option when topping a baked chip or taco. Just be mindful – 1/3 of an avocado is the recommended portion. 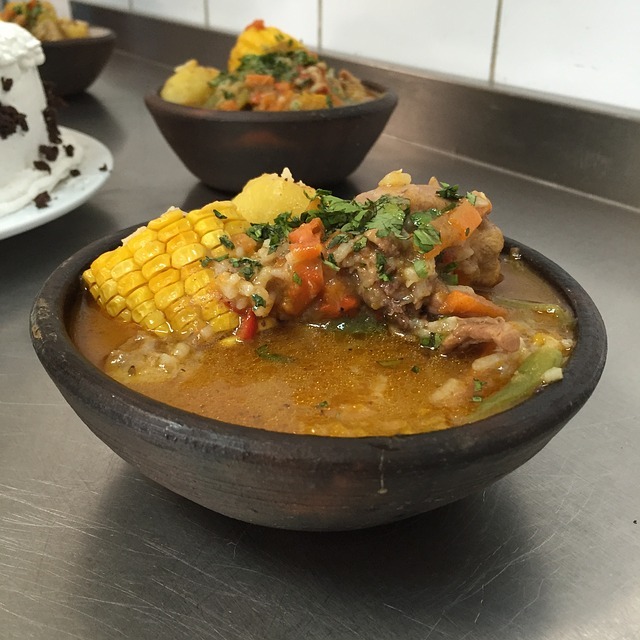 Chipotles in adobo are responsible for the flavor punch in this dish. Along with flavor from protein, carrots, potatoes, tomatoes, pineapples, and bell peppers it’s super nutritious without being super salty. Credit: Chicken stew. Pixabay. 07/10/2012. Fish is almost always a healthy choice and this is no exception. 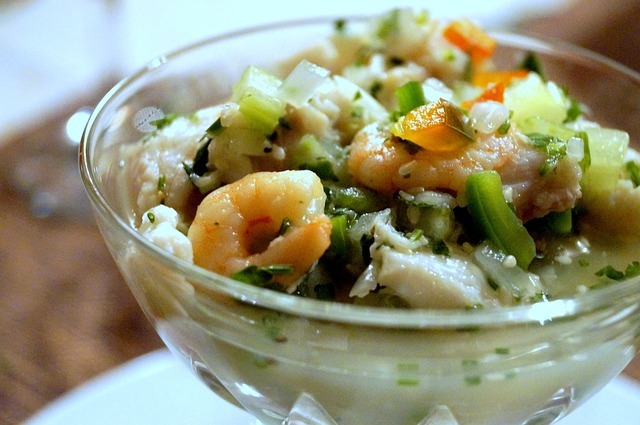 “Cooked” in citrus fruits and juice, this seafood dish is cured without adding the fat found in fried fish. Homemade agua fresca is going to be a healthier version than store-bought, most of the time. You can add fresh or frozen fruit to your water to add subtle flavor. Try using less sugar or simple syrup. You can also use agave, Splenda, or another calorie free sweetener to cut down on the amount of added sugars you consume from drinks. Credit: Agua Fresca. Pixabay. 11/09/2018. These pocket pies are filled with deliciousness, and when that crust breaks open to reveal a savory sauce or sweet fruit filling, it’s like heaven in your mouth! Baking your empanadas, instead of frying them, will make them a bit more heavenly with a lot less added fat. This potato leek soup is another delicious dish. When adding the cream or sour cream, try a low fat version or try using plain Greek yogurt. By using plain yogurt, you‘ll be adding protein, calcium, probiotics, and cutting way back on saturated fat! 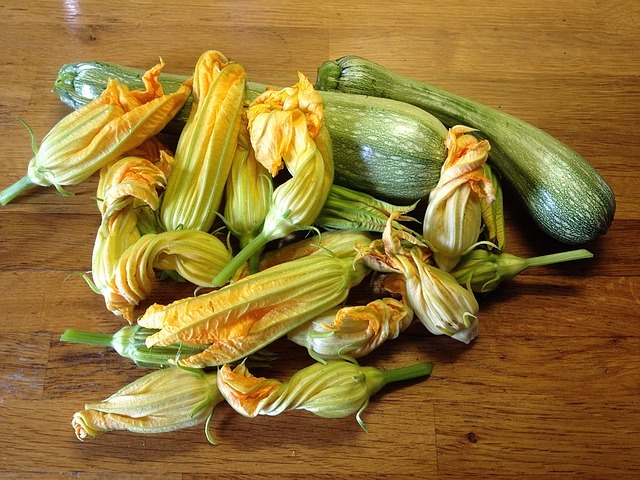 This quick stew uses fresh squash blossoms from a summer squash plant. It’s easy to prepare and quick to devour. Packed with cancer fighting antioxidants, vitamins, minerals, and fiber this stew is bright, beautiful, and as healthy as it comes. Credit: Zucchini blossom. Pixabay. 07/25/2014. A sweet treat! Traditionally fried then rolled in cinnamon and sugar, this tasty treat has soared in popularity – and for good reason, it’s delicious! It’s also loaded with added sugars and added fat. To make this treat a bit healthier, try piping your dough on a cookie sheet and baking it, to reduce the added fat. Salsas are always a healthy topping for any dish or a great dip choice for baked chips. 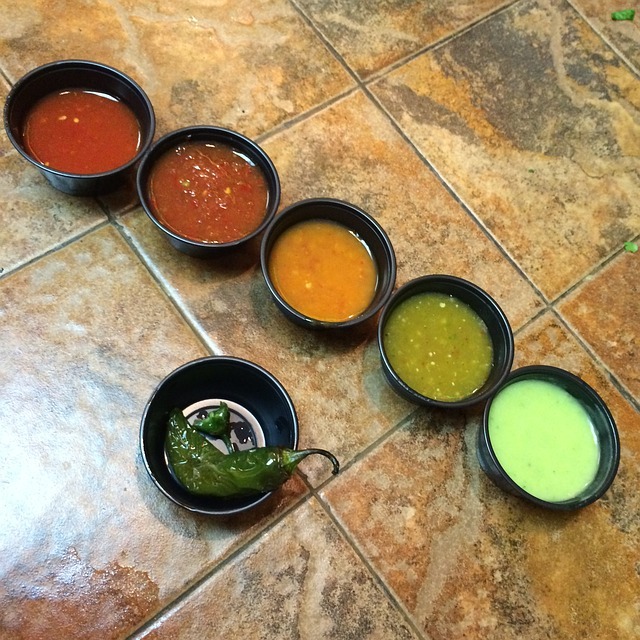 Salsas usually contain fruit and vegetables, such as tomatoes, tomatillos, mangoes, and even grapes! Some may even occasionally contain avocado, a source of healthy fats! Delicious Latino snacks are a part of every one of my childhood memories. There were things I ate and drank that were completely normal to me. As a result, it wasn’t until I went to college and pulled out the Tajín to put on, well, everything that I realized not everyone had the same affinity for tamarind and Tajín as I do. I realized many people had spent their entire lives deprived of the delicious Latino snacks that I’d taken for granted. The best thing about these delicious snacks is that some are sweet, some are savory and some are most definitely going to have chili and lime but all are going to be uniquely delicious. There are delicious snacks for every craving. Soft, delicate cookies made from cornstarch, Alfajores produce a smooth, satiny texture like no other, creamy dulce de leche fills this tender, crumbly cookie. Roll the edges of the finished cookies in flaked coconut or cover in chocolate for more deliciousness. Alfajores are next level delicious Latino snacks. Who needs French fries when we’ve got yuca frita? Just as delicious with half the carbs. Most Colombian restaurants serve yuca frita with salsa rosada or your favorite dipping sauce. Get ready to say omg. Fried breaded cheese sticks with queso blanco in the middle are tequeños and they are absolutely addictive. They melt in your mouth. Thanks to their versatility and ability to be eaten for breakfast or served as an appetizer, tequeños qualify as one of the most delicious snacks available. 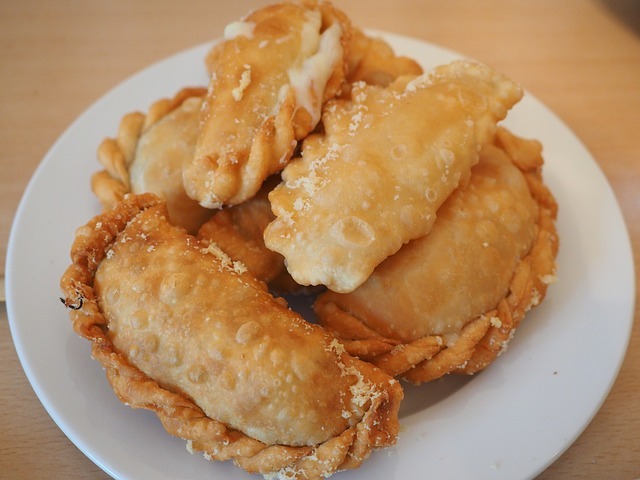 Tequeños come in various sizes and with a variety of fillings such as bocadillo (guava candy) typical in Venezuela, Colombia and Panamá. In Venezuela, the tequeños are available with chocolate in the middle among other flavors and can be made of plantains or cassava instead of wheat flour. The arepa is a corn cake with a warm cheesy filling popular in Colombia and Venezuela. They were created as a staple of indigenous tribes to the area and the recipe has been passed down through generations. They are incredibly versatile and can be eaten on their own or filled with a number of delicious fillings. Is there any other way to eat cucumbers, aside from with Tajín? I don’t think I ever had a cucumber without chile y limón until I was a grown up. I eat all of my fruits and veggies with chile y limón any chance I get. I’m crazy for Tajín, and so are most Mexicans. I grew up putting it on pineapple, watermelon, oranges, cucumbers, mangoes corn and just about anything else you can think of. There is something about the combination of sweet fruit and tangy/sour Tajín that leaves you always wanting more of this delicious Latino snack. Toasted and salted corn kernels called “canchita” is popular in Peru and Ecuador. Made with a special type of large-kernel corn called maíz chulpe or maíz cancha chulpe, cancha is the perfect snack on the go. The dried kernels are tossed with oil and toasted in a hot skillet until they are browned and puffed. A simple sprinkling of salt and this simple snack is ready to eat. Cancha is served best with ceviche or a cold beer. These twice-fried green plantains salted and eaten like potato chips are a very popular snack in the Caribbean. In some regions, it is customary to dip them in mojo (a garlic sauce) or ají, or in Colombia, they are sometimes served with hogao sauce. They are often eaten with a paste-like dip made from black beans in Costa Rica. They are served topped with cheese as an appetizer, or with shrimp ceviche, pulled chicken, or avocado salad in other countries. Any way you eat these delicious snacks they are tasty. 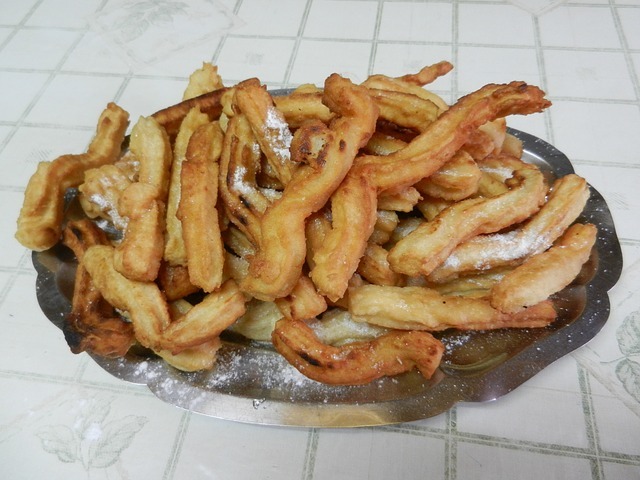 Chilean “cuchuflíes” are barquillos wafers filled with manjar (dulce de leche). I’ve never had them but I hear that they are out of this world delicious and who doesn’t love dulce de leche? A traditional Salvadoran dish of a thick corn tortilla stuffed with a savory filling like cheese, refried beans, and seasoned pork,. Pupusas typically paired deliciously with curtido and salsa roja. They are meant to be eaten with your hands so have the napkins ready. Shredded ice with fruit. A cholado is a cross between a frozen dessert, fruit cocktail, and a drink, and derives from El Valle region of Colombia. It is traditionally made with crushed ice, fresh fruit, condensed milk, passion fruit (maracuyá), Colombian blackberry (mora) syrup, and topped with shredded coconut and a maraschino cherry. It’s tangy, sweet, creamy, crunchy, and fruity, all in one spoonful. You can make cholados with any type of fruit you like. The possibilities are endless. This snack is as popular stateside as it is in Puerto Rico. The good news is that it’s not so hard to find and taste for yourself. These coconut treats are flavorful, sweet and chewy. You only need to eat a couple of them to feel completely satisfied. The first time my girls laid eyes on Pulparindo they thought I was crazy. however, one taste and this deliciously scrumptious snack soon became their favorite thing. Made from the pulp of the tamarind fruit and flavored with sugar, salt, and chili peppers, Pulparindo has everything. It’s simultaneously tart, sweet, salty, and spicy. Mangoneada, Chamango, is a savory, sweet Mexican fruit drink. Chamoy sauce, mangos, lime juice, and chili powder make up the Mangoneada. A tamarind straw completes the drink. It is the Latino snack that will make you pucker your lips in pure bliss. Mallorcas are Puerto Rican sweet rolls. Puffy, sweet and soft buns found all over the island. Some people use the mallorca as a sandwich roll for grilled ham and cheese. Consequently, at La Bombonera, purists prefer the coiled bun simply sliced in two, buttered and pressed flat between the hot steel plates of a griddle. Dust with a flurry of confectioners’ sugar.. This green tropical fruit known as the mamoncillo is virtually unknown outside of the tropics. Small and green with a salmon-colored soft flesh, the mamoncillo fruit resembles a lime at first glance. However, the soft shell of the mamoncillo fruit easily opens. Bottom line is that they are delicious and one of the most popular fruits in Latin America. They can be eaten alone or with salt and pepper. While some mamoncillos are sweeter than others, most of them are tart or sour tasting. Often in Mexico, lime juice and chile pair well with the more sour tasting mamoncillos. Aka “love serenade” is a Brazilian cashew candy. It’s a tasty treat filled with crunch, chocolate and lots of love! Serenata de Armor, which means “Serenade of Love” in Portuguese, is regarded by many to be the best Brazilian chocolate of all time. These chocolates have a cream and cashew-nut center, surrounded by crunchy wafers and an outer layer of milk chocolate. If you’re looking for a touch of sweet and spicy, then this is the snack for you. It’s a chili-covered, mango-flavored lollipop. You will notice that a lot of my favorite Latino snacks from Mexico involve chili, lemon or Tajín. Want the perfect balance between sweet and salty? Then you need a Mani Moto in your life. The crunchy Colombian snack is a nut within a tasty hardshell and highly addictive. You can’t just eat one of these snacks. These sinfully, sweet cream-filled cookies are sold in Ecuador and elsewhere in Latin America. Covered in chocolate or white chocolate, Tango makes your taste buds come alive. Plus, how can you beat a snack that is covered in chocolate? Chocolate is rich in antioxidants that help decrease the risk of heart disease.